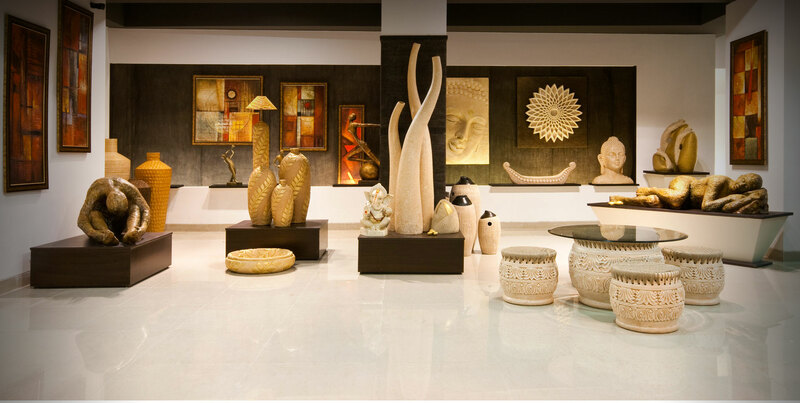 Matted textures, muted tones, experimental shapes, Anju kumar, a pioneer of creating pottery as an artform, dips into the earthern palette taking inspiration from mother earth to bring greenery to your interiors. A self taught practitioner of pottery, she has held 85 successful solo shows in a career graph spanning 30 illustrious years. 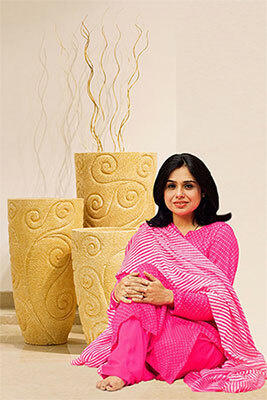 Her label “Studio Anmol” showcases exquisitely handcrafted pottery that can change the configuration of any living space. Her work transcends time and space,is a journey of the spirit in the realm of freewill and imaginative bliss. 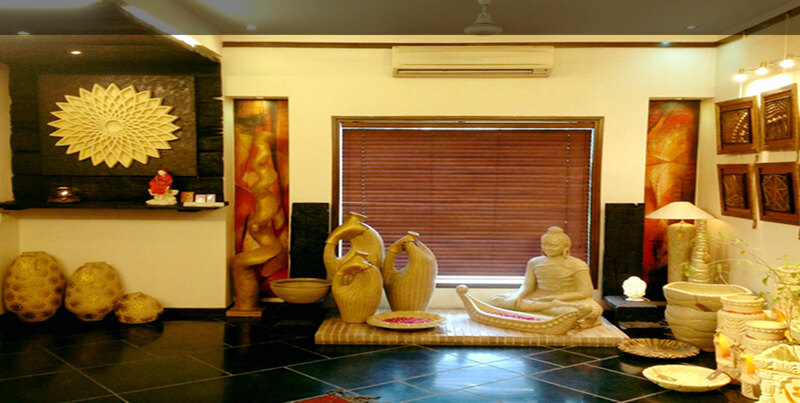 The unique, mesmerizing Pottery is all about perceiving divine light and transforming it into a spectrum of vibrations and translating it into art . It indeed is a textural treat capturing the essence of minimalism and poetic fluidity of straight lined forms and ethereal l shapes. Antique dull gold filigree on clay, hues of fresh beiges, botanical greens, browns, burnt and raw siennas, yellow ochres to blazing crimsons, electrifying vermilions are interpreted creatively as a visual expression. A total rendering in greys and earth intersperse with bold highlights in metallic sheen is exotic, thus monochromatic tones are deftly used to accentuate her work lending it a rustic raw appeal and understated elegance.